Our community has grown into something quite fabulous. There is so much creativity, love and bombastic brilliance in each and every one of you! So, every other Friday, I’ll be inviting Healthful Pursuit readers; readers just like you, to share their stories, health tips and recipes here on the blog. From how to juice, to steps on switching to a plant-based lifestyle, the importance of meal planning, how to make healthy snacks… this Power Posse series is going to ROCK your little socks off. Want to join the Power Posse and share your genius with our community? You don’t have to be a blogger, or even in the online space. If you’re passionate about health and have something to share, I’d love to have you. Send me a message and lets chat about it. I’m so excited to be here today sharing some of the ways that I take care of myself and my health on a daily basis. My name is Sonnet and I write the blog For The Love of Food, which is focused on fresh, seasonal, plant-based recipes are great for you while tasting amazing! Some of you might remember me from my Chocolate Kale Chips that I shared with Leanne awhile back. As a holistic health coach and seasonal foods educator, one of the struggles I hear from my clients the most is how challenging it is to eat enough vegetables every day. Can you relate to this? I’m a bit of a veggie fanatic as it is, but incorporating a fresh vegetable juice into my daily routine has helped me to get more veggies into my diet, which in turn has dramatically boosted my energy and helped me to feel my best. If you are looking to improve your health, I believe that juicing is one of the best things that you can do for yourself. Drinking fresh vegetable juice allows you to consume more fresh fruits and vegetables, which we all know are full of good things like vitamins, minerals, and (since you are consuming them raw) beneficial enzymes. Fresh juice is also loaded with antioxidants that bind to toxins and help remove them from the body. This makes fresh juice especially fabulous for anyone looking to increase their energy and detox their system. Fresh vegetable juice is very alkalizing, meaning that it helps to restore the body to its proper pH and assist the body in detoxing. Many of the foods we eat on a daily basis cause the body to be too acidic (e.g. sugar, fried foods, bread, alcohol, too many animal products, etc) and this acidity builds up over time causing inflammation and creating stress for our organs and tissues. On the other hand, eating fresh, alkaline-forming foods (like vegetables) help to strengthen the body and keep it healthy. Since the juicer extracts the insoluable fiber from the fruits and veggies, fresh juice is very easy on the digestive track (making it perfect for anyone with digestive issues) and it makes the nutrients easy to absorb. Plus, since your digestive system doesn’t have to expend as much energy to break down juice, your body can spend that energy on healing your cells. I began juicing in 2007 when I started working at an organic, raw juice bar and that experience changed my life. Over the next two years, I transitioned from eating the Standard American Diet (with way too much sugar and processed foods) to a plant-based diet focusing on fresh, seasonal, and whole foods. I found that the key to changing my diet and improving my own health was to focus on adding fresh foods, rather than subtracting the “bad” ones. This focus on adding instead of subtracting is one of reasons why many of my clients have been so successful at creating their own daily juicing habit. As you add more fresh and whole foods into your diet, your tastebuds naturally start to crave “bad” foods less. It’s like magic! Are you ready to get started with juicing? Let’s talk about the next steps! I often get questions from clients and readers asking about the juice that’s sold pre-bottled in grocery stores. This isn’t the same thing as fresh juice because as juice sits, it begins to oxidize and loses nutrients. If you want the best bang for your buck, skip the bottle and head to your local juice bar or juice it yourself! For daily juicing, I recommend drinking 100% vegetable juice or including low-sugar fruits in your juice, such as green apples, lemon, lime, berries, and grapefruit. Since juicing extracts the insoluable fiber, this makes the natural sugars in fruit absorb more quickly causing your blood sugar to spike. And since juice is easy to drink (compared to eating the fruit or vegetable), it’s very easy to consume more sugar than you realize by drinking fruit juice. Of course, if you are new to juicing or are drinking juice as a treat, it’s really fun to add fruit to mix it up a bit. When you are just getting started, you might want to try adding half of a sweet fruit (like pears or red apples), then switching to low-sugar fruits as you get used to the taste. You can also “sweeten” your juice by including naturally-sweet vegetables like beets and carrots. You’ll find a variety of juice recipes at the end of this post for some healthy inspiration! Fresh juice is very alkalizing and detoxifying and most people can get the benefits without going on an extreme juice cleanse. I always recommend adding juice to your existing diet, instead of using it as a meal replacement. This helps to prevent any “detox” symptoms like headaches or body aches and makes juicing much more doable for the average person. You also don’t have to drink juice every day; even drinking juice 2 – 3 times a week will make a big difference! I like to drink my juice first thing in the morning on an empty stomach. This helps to awaken my digestive system gently and it also means that all of the nutrients from the juice can go straight into my cells since my body is not focusing energy on digesting a meal. 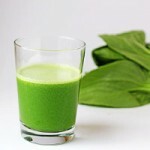 It also helps me to be consistent in my juicing routine because I have made juicing part of my morning routine. If the morning doesn’t work for your schedule, then find the best time that works for you. It’s more important that you are able to incorporating juicing into your day in a stress-free manner than falling off the juicing wagon because it doesn’t work for your schedule. This juice is perfect for beginners because it’s a sweet and spicy combination that is fabulous for easing into juicing. 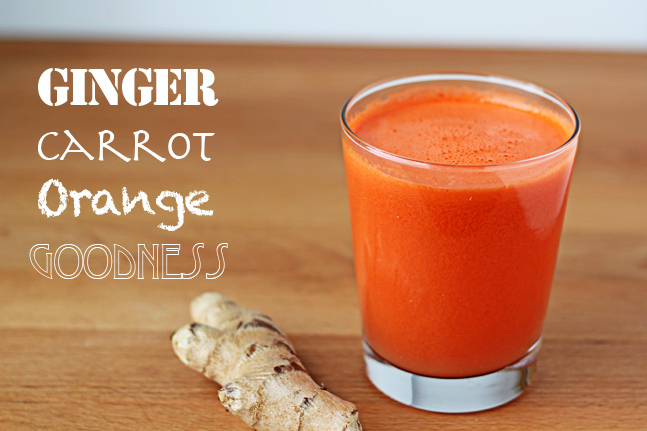 I love the natural sweetness from the oranges and carrots and it’s a perfect combo with the healing powers of ginger! 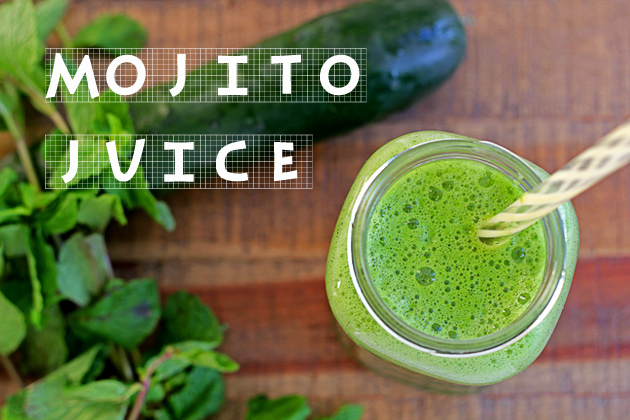 Can you think of anything more fabulous than a healthy green juice that tastes like a cocktail? 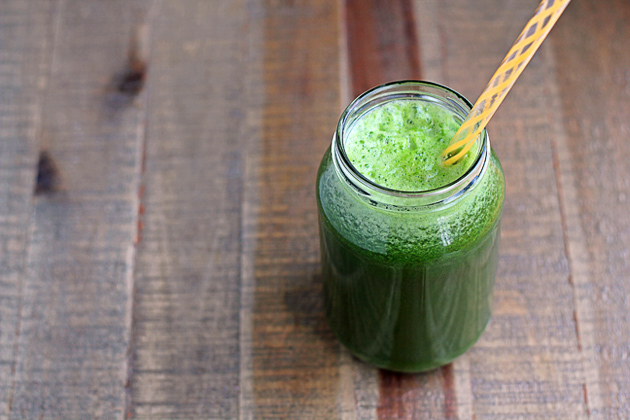 This green juice is a mild choice for beginners and it can be made sweeter by adding fruit if desired. I love this juice for its sweet, earthy taste and its health benefits specifically aimed at the liver. 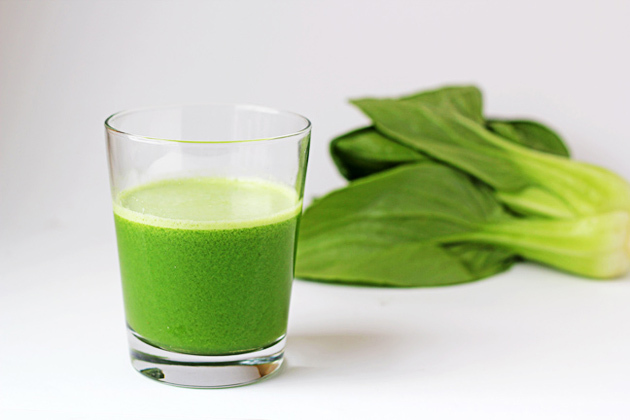 The liver is the most important organ for metabolism and detoxification so if you are looking to lose weight and clean up your system, this juice is for you! This juice is perfect for intermediate juicers who are looking for a fresh-tasting juice with an edge. I love the mellow flavor from the cucumber combined with the zing from the ginger and green bell pepper. I’m not going to lie: this juice is intense and is definitely recommended for the intermediate to advanced juicer. This juice isn’t one of my typical daily juices, but I love it for boosting my immune system and helping to ward colds off or decrease their duration. I hope this inspires you to get started on your own juicing journey or to strengthen your current juicing routine! 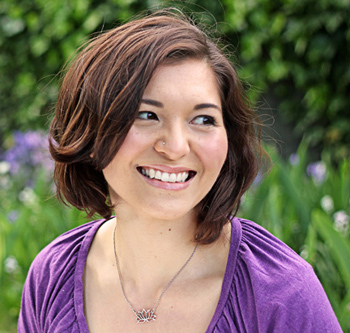 Author Bio: Sonnet Lauberth is a holistic health coach, food educator, blogger, and writer with a passion for helping people lead fuller, healthier lives. Visit her food blog, For The Love of Food, for seasonal, plant-based recipes and tips on sustainable, healthy living. If you are new to juicing: what fruits and veggies are you most excited to try in a juice? And for you advanced juicers: what are your favorite juice combinations?